In the year 2000, Pokemon was at the height of its popularity. With the second installments – the now-beloved Gold and Silver versions – on the way later in the year, and after the box office success of Pokemon: The First Movie in 1999, Pokemon: The Movie 2000 was sure to be a hit, especially with its emphasis on some of the new Gold and Silver Pokemon. Pokemon: The Movie 2000 didn’t quite reach the ticket sales of its predecessor – though it is the only anime film that comes close to it in the US box office – it is actually a better movie, with improved character development and a bit of a stronger story. Pokemon the Movie 2000 sees Pokemon trainer Ash Ketchum, his friends Misty and Tracey, and, of course, the adorable Pokemon Pikachu on an adventure that takes them to Shamouti Island, after a massive storm sends them on a little detour from Ash’s usual Pokemon journeys. The group soon learns that the people of the island are in the middle of a festival, celebrating an ancient prophecy based around the mythical Pokemon Lugia and the three legendary birds; Articuno, Zapdos and Moltres. The prophecy states that the elemental birds of ice (Articuno), lightning (Zapdos) and fire (Moltres) will lose their balance over the world’s climate, and their ensuing war amongst each other will awaken Lugia, the guardian of the sea, to try to ease the warring birds and bring balance back to nature. But Lugia will need help from a chosen hero and a special song. A young girl named Melody is the festival’s maiden, and selects Ash to be the “chosen one” of the festival. As the chosen one, Ash is to retrieve three crystal orbs from the islands of the legendary birds, take them to Shamouti’s Shrine (located in the middle of the three islands), where Melody is to play Lugia’s Song. This turns out to be more than a ceremonial ritual, however, as an obsessed Pokemon collector named Lawrence III seeks to bring the prophecy to fruition – by means of capturing the legendary birds with his immense, flying fortress – in order to awaken Lugia, which Lawrence believes to be his ultimate prize. Suffice to say Ash’s role as the chosen one ends up being more vital than simply being part of a festival, and due to Lawrence III’s actions Ash’s duties hold the fate of the planet in the balance. The plot may be a bit simple, and storylines being built around prophecies are always a bit of a tightrope to walk (more often than not, they tell you exactly where the story is going). But Pokemon has that innocent charm about it that makes it hard to resist, and with Lugia’s presence as a mythological creature, it’s a fitting story. What gives Pokemon the Movie 2000 extra points in the story department, however, is its improved character development. While the first film focused more on Mewtwo’s backstory, 2000 gives Ash the chance to show a more heroic and selfless side, as if his actions towards the end of the first movie carried over and continued for the entirety of the sequel. 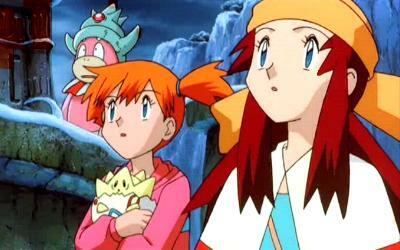 Misty – though perhaps needing of some more screen time – is also given time to grow as a character. Perhaps most notably is how this sequel actually gives Team Rocket something important to do, and gives them new dimensions. 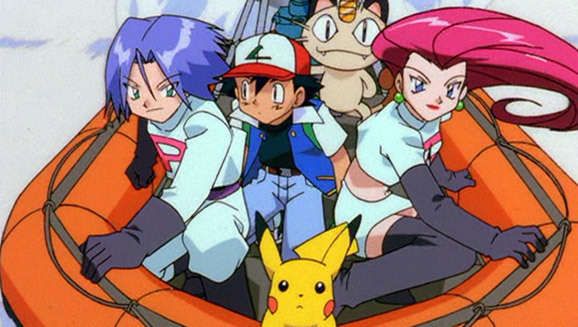 While they primarily served as bumbling, villainous comic relief in the series (and still do a bit here), Team Rocket’s Jessie, James and Meowth end up playing an integral role in the plot. It’s a shame that the series would more or less retcon all these character changes away, but hey, they’re still enjoyable to watch during the movie. As is often the case with Pokemon, 2000 has a go at some emotional moments, and is surprisingly effective with them. Look, it’s obviously not Pixar levels of making audiences cry, but its heart is in the right place, and the emotion resonates more than you’d expect from a movie based on a TV show based on a video game. Much like the first movie, Pokemon the Movie 2000 has improved animation over the TV series. Though it isn’t without some notable limitations, the jump to the big screen gave Pokemon a new visual life. Plus, the island setting and environmental changes (not to mention Lawrence III’s fortress) gives audiences a wider variety of scenery than the first movie’s focus on Mewtwo’s labs. An even bigger improvement over the show and the previous film is the musical score. While the English version still contains some pop music of the time, they’re mostly saved for the end credits (and hey, we get a Weird Al Yankovic song out of it, so I can’t complain too much). But the original score of Pokemon: the Movie 2000 is surprisingly good, with “Lugia’s Song” in particular being a standout, and seems to have more than a little bit of inspiration from Princess Mononoke. Pokemon: the Movie 2000 still suffers from some obvious shortcomings; the plot is nothing special, the animation – though improved – still can’t stack up to other anime features of the time, and its villain needed a bit more time on screen for his motivation to resonate. But y’know, when you get to see Ash Ketchum, Pikachu and Team Rocket traversing a frozen ocean while Lugia has an elemental battle in the sky against three magic birds, it’s all too easy to look past Pokemon the Movie 2000’s flaws as a film and just enjoy it for what it is. It may not be great cinema, but Pokemon: the Movie 2000 is a good Pokemon movie. It got its fanbase hyped for Pokemon Gold and Silver back in the day, especially with its emphasis on Silver’s mascot Pokemon Lugia (who remains my personal favorite legendary Pokemon to this day). Better still, if you’re a Pokemon fan, Pokemon the Movie 2000 is still worth the occasional revisit for its improved characters and overall sense of charm and fun. 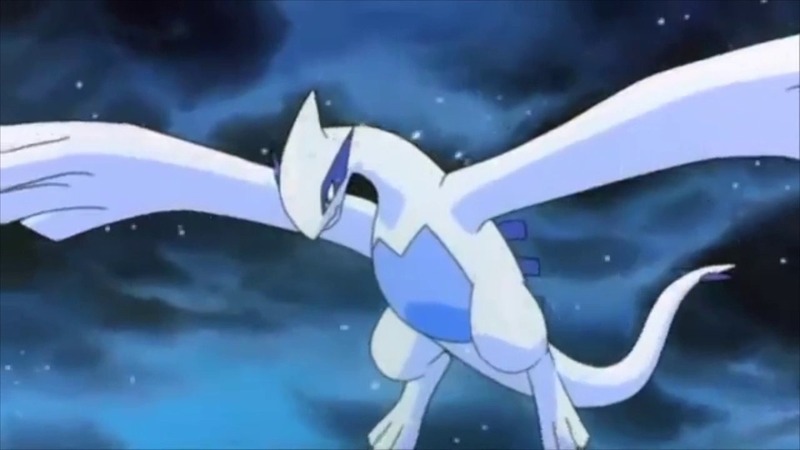 Plus, Lugia is just so cool. I agree that it is better than the first movie. I liked it a whole lot when I first watched it back in the day. Better than the first movie. And also Lugia is cooler than Mewtwo.